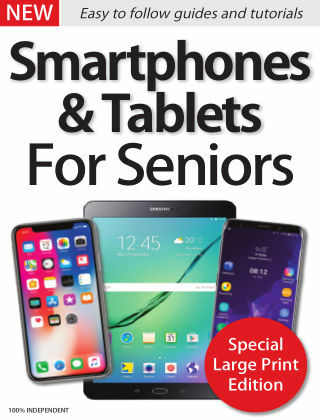 With Readly you can read Smartphones & Tablets For Seniors and thousands of other magazines on your tablet and smartphone. Get access to all with just one subscription. New releases and back issues – all included. Made for seniors. This specifically focused publication is packed with jargon-free, easy-to-follow guides and tutorials that really help you get the best from your smartphone or tablet, covering iPad, android devices and iPhone. If you want to get more from your iPhone, this is the book for you. With crystal clear guides written in plain English - displayed in large format text - and illustrated with informative full colour screenshots, you will discover everything you need to know to help you build your understanding and your confidence when it comes to using your tablet or smartphone, securely, safely and to its full potential. 100% unofficial.